In 2017, Canada will celebrate its 150th anniversary. The Royal Canadian Mint is honoring this celebration by bringing some of the great coins Canada has seen over the years back to customers in a new way. One of these offerings is the Canadian Goose from the Big Coin Series. This coin brings back the design of the Dollar Canadian Centennial coin from 1967. 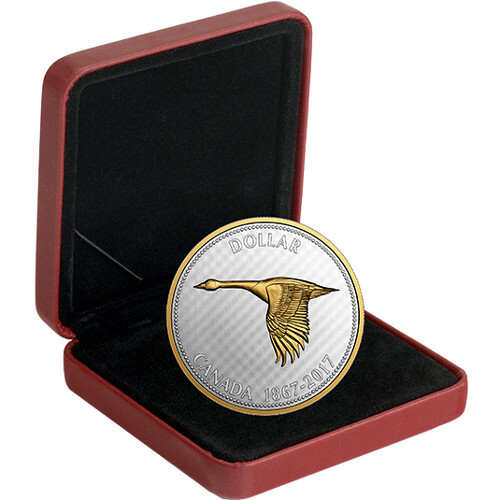 Now, the 2017 5 oz Proof Silver Canadian Alex Colville Big Coin Series Canadian Goose Coin is available at Silver.com. Ships to you in a maroon clamshell from the Royal Canadian Mint. Total mintage capped at just 2,150 coins for this release. First release in the Big Coin: Alex Colville Design series. Consists of Five Troy ounces of .9999 fine silver. Issued a face value of $1 (CAD) by the Canadian government. Reverse includes an image of the Canadian Goose design from the Canadian Centennial coin. 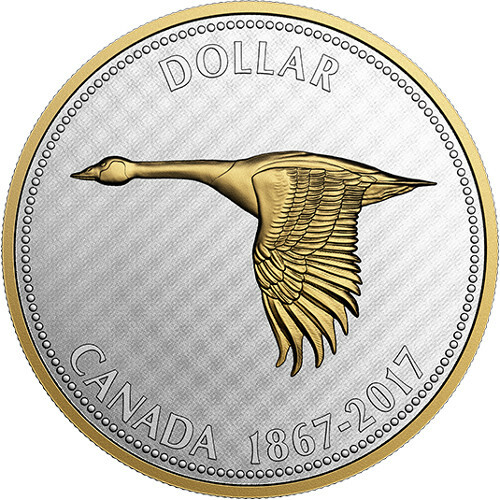 The 2017 5 oz Proof Silver Canadian Alex Colville Big Coin Series Canadian Goose Coin is the first in the Big Coin Series: Alex Colville Designs, but also the one of the first coins released that celebrates the 150th anniversary of Canada. Other coins in this series will be Fifty Cent Howling Wolf, Twenty-five Cent Bobcat, Ten Cent Mackerel, Five Cent Rabbit and One Cent Rock Dove. Each coin in this series will commemorate a coin from the Canadian Centennial circulation coins. All of the original versions of these coins were created in 1967. The new versions will feature the design with gold plating on the rim and on certain parts of the images. 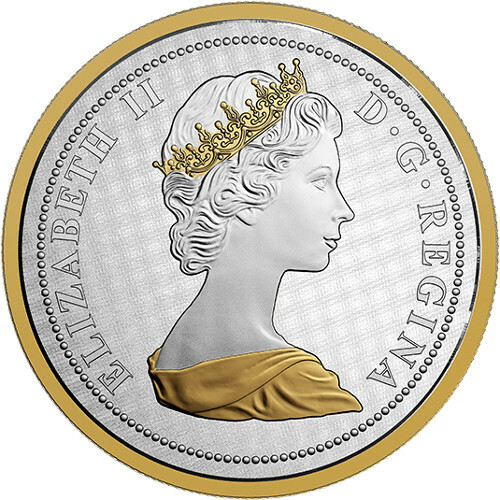 The obverse design of the 2017 5 oz Proof Silver Canadian Alex Colville Big Coin Series Canadian Goose Coin features the effigy of Queen Elizabeth II created by Arnold Machin. This design was the second one using the Queen’s image. The Queen’s crown and dress are plated in gold. This same image will be found on all of the coins in this series. 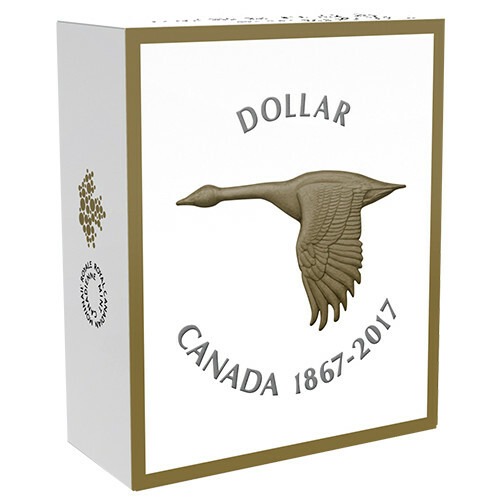 Each coin will ship in a maroon clamshell from the Royal Canadian Mint inside a special shipper box that displays the coin’s design.